Everyone has those friends that you grew up with and will never forget. I knew this one girl since we were 4 until now. We went to the same school for about 11 years: Pre-Kindergarten till now. She was my best friend along with two other girls who still come to school with me. In the middle of 8th grade, she was diagnosed with leukemia. No one expected anyone as perfect as her to get cancer. My teacher told me that the best of people get the hardest of challenges because they’re too great to handle normal ones. From what I have experienced; it’s true. Recently, on April 17th she passed away. After a year of cancer, she was done. She relapsed in the beginning of this year, and now she’s passed away. To me, she’s won the battle. She’s in a better place now and no longer has to deal with this life we live in filled with hate and conflict. I’m not just saying this because she was my best friend, but she lit up the room when she walked in. She was always smiling, never talked badly about anyone, never put down anyone, and was always laughing. She was always smiling and cracking jokes. Even with cancer and everything, she was still smiling and laughing. She was always a positive and smiley person. She always told her friends and her family to be positive, and that’s what we did. We stayed positive for her because we believed she would make it. She always told everyone to be positive. It was her motto. Coincidentally, her blood type was B+. I realize that she’s gone from this world, but I know she’s in a better place and that’s me being positive. She’s now my role model, and for her, I’ll always remember to be positive for everything I go through in life. Zara, I am so sorry to hear about your friend. I found your blog last night after a discussion I was having with my husband. I was sad and upset about the passing of my 10 year old cousin; she ended her battle with leukemia on April 18th. 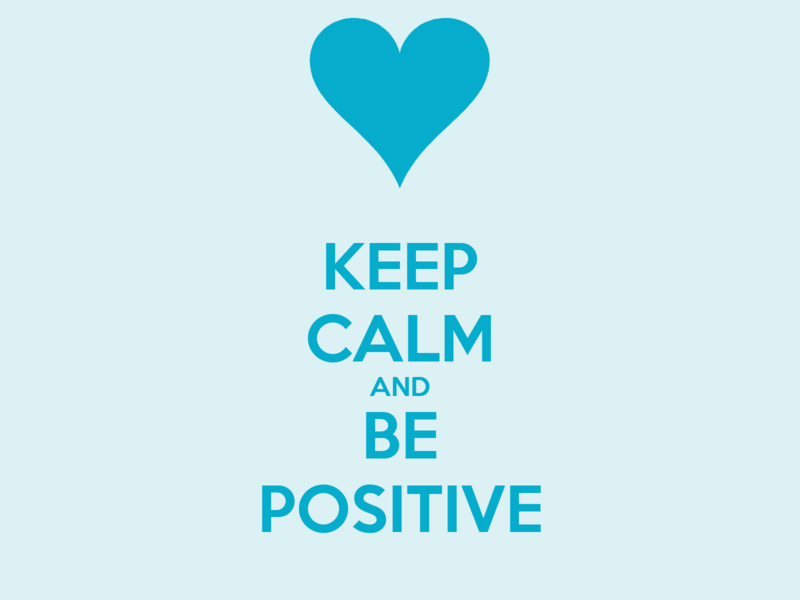 So I googled ‘be positive’, looking for an image to put on the lock screen of my phone as a reminder to B+. I found the image you posted and put it on my phone. Today has been a little easier. So thank you. I came back to read your blog this evening and I was blown away with your wisdom and insight about your situation. Being in a similar one, your words reminded me of all the great things about my cousin – at one point I felt like you were blogging about her. The similarities that your friend and my cousin have are outstanding, as she too was too great to handle the normal challenges. I also want to let you know that I was surprised to find out that you are in high school as not only are your writing skills remarkable your words are powerful. Please keep blogging and sharing your knowledge. You and your friends are doing a great thing here. You most definitely changed my perspective today. Thank you. A sad post and an important reminder to make each day memorable. To experience those memorable moments with the people we care about and the people who need care. Take a moment to read the comments too.